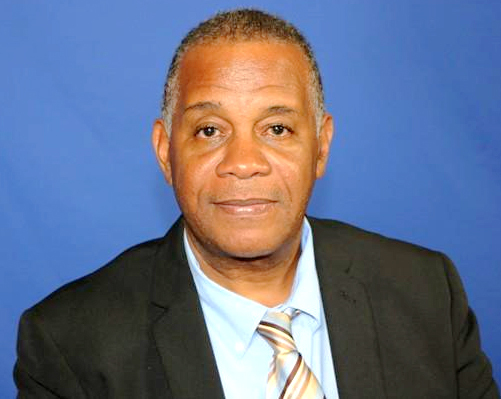 CHARLESTOWN, Nevis — The following is an address delivered by Hon Eric Evelyn, Minister of Culture in the Nevis Island Administration (NIA) on Feb. 1 to mark the start of History and Heritage Month 2019. “It is my privilege to address you on this the commencement of History and Heritage Month 2019, being celebrated here in St. Kitts and Nevis. “History and Heritage Month is an outreach activity hosted by various organisations including the Brimstone Hill Fortress National Park Society, the Nevis Historical and Conservation Society (NHCS), the St. Christopher National Trust, the Departments of Culture and Education on St. Kitts, as well as a number of individuals. “Various activities are held during February which seeks to promote greater knowledge, understanding and appreciation of the history, heritage and culture of our country among citizens, thereby fostering stronger national identity and pride. “The NHCS once again welcomes the opportunity to be a part of this initiative. The month of activities this year are being observed under the theme “African Survivals in St. Kitts and Nevis. “I take this opportunity to encourage the members of the general public on Nevis, to support the activities that will be hosted here on the island in observance of History and Heritage Month 2019. “Feb. 8 has been dubbed Heritage Wear Day, and as many persons as possible are being encouraged to wear something that depicts our heritage. Your heritage wear should also depict this year’s theme. You are also encouraged to post your pictures on your Facebook page, Instagram or WhatsApp status. You should also tag the Nevis Historical and Conservation Society. “Feb. 16 is Heritage Day in Nevis. From 9 a.m. to noon, there will be a tour of the Coconut Walk/New River re-forestation project. That project is funded by the Global Environment Facility (GEF) with the NHCS playing a major role in Nevis being awarded that project. “Last year, the NHCS hosted a very successful event called “Evening with the Arts” and that activity is back again this year. This year it is “Evening with the Arts African Edition” and it will feature food, fashion and culture. “This activity will be held on Feb. 23 from 7 to 9 p.m. at Hamilton House on Samuel Hunkins Drive. The dress code is heritage or cocktail wear. Hors d’oeuvres will be served and a cash bar will be available. Tickets are available at the NHCS for EC $50 or US $20. “The activities have been planned to attract a wide cross section of the general public. It is important that members of the public take this opportunity to learn more about our nation’s history and heritage. “Once again, I am encouraging persons to support the activities for History and Heritage Month. “I also pledge the support of the Nevis Island Administration as we seek to celebrate and promote our history and heritage. “As we celebrate History and Heritage Month 2019, under the theme “African Survivals in St. Kitts and Nevis,” I, therefore urge all Nevisians and residents to continue to celebrate our rich history and heritage.